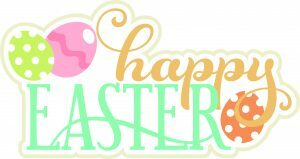 Happy Easter from Nidd Transport! We would like to wish you all a Happy Easter from all the team at Nidd! Please note our office will be closed on the 19th and 22nd April due to the bank holiday weekend, returning on Tuesday 23rd April at 9AM. We at Nidd Transport, remain hopeful that a deal can be agreed with the EU and are optimistic that a ‘No Deal’ exit remains unlikely. We would recommend taking the following steps to remain prepared for any outcome of the ongoing Brexit negotiations. Ensure that you know the ‘Commodity Codes’ for your goods – follow this useful Link which can help you to find your relevant codes or speak directly with Custom’s for assistance. How will booking your Imports/Exports change post Brexit? We are continually monitoring the latest developments and guidance issued by the government and HMRC. We are fully prepared to handle your shipments no matter the eventual outcome of the Brexit negotiations. We would like to thank you for your continued support through this period of time. Nidd Transport has been awarded Palletforce PLC’s ‘depot of the year’ for the second year running. This is a fantastic achievement and it is an award that everyone at Nidd is hugely proud of winning once again. A special mention must go to Jon Bowyer and his staff in the UK department, the warehouse team and the trunk and delivery drivers for delivering a high standard of customer service for our Palletforce partners. However, it is also important to recognise the whole Nidd Transport team for their contribution in gaining this award. The award is judged on the administration of the business, as well as the customer care and delivery performance of the business and once again Nidd Transport have finished ‘Top of the League’. Congratulations!